The Washington Post reports, "When Chinese Vice Premier Liu He, the head of the team handling trade negotiations with the United States, landed in Washington on Monday for a critical round of talks this week, what greeted him wasn't so much a welcome as a broadside. As his delegation touched down, the Justice Department unveiled allegations that Chinese telecom giant Huawei Technologies had stolen intellectual property from the United States — one of the main, long-standing U.S. grievances about China's trade and industrial practices. 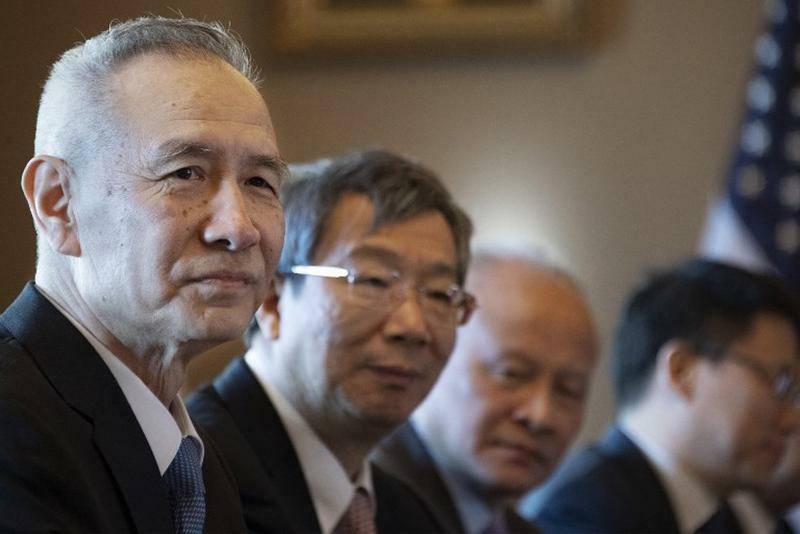 Whether the timing was intended or not, two sweeping new U.S. indictments against a globe-spanning Chinese conglomerate are casting a long shadow over a critical round of talks this week between the negotiating teams led by Liu and U.S. Trade Representative Robert E. Lighthizer." NBC News reports, "Foxconn is reconsidering plans to make advanced liquid crystal display panels at a $10 billion Wisconsin campus, and said it intends to hire mostly engineers and researchers rather than the manufacturing workforce the project originally promised. Announced at a White House ceremony in 2017, the 20-million square foot campus marked the largest greenfield investment by a foreign-based company in U.S. history and was praised by President Donald Trump as proof of his ability to revive American manufacturing. Now, those plans may be scaled back or even shelved, Louis Woo, special assistant to Foxconn Chief Executive Terry Gou, told Reuters. He said the company was still evaluating options for Wisconsin, but cited the steep cost of making advanced TV screens in the United States, where labor expenses are comparatively high." The New York Times reports, "Alibaba became one of the world's biggest internet companies thanks to the growing wealth and online shopping habits of Chinese consumers. Now, as China's economy slows, it has become a symbol of their new sense of caution. The company, China's largest e-commerce business, said on Wednesday that its earnings growth fell last quarter. Its revenue was slightly below analysts' expectations, growing 41 percent, its slowest pace since early 2016, reflecting both the sheer size of the company and widening troubles in the Chinese economy, the world's second largest. Alibaba's shares rose in premarket trading, however, because it beat analysts' estimates on adjusted earnings per share, posting growth of 15 percent." The New York Times If a Government Can't Deliver Safe Vaccines for Children, Is It Fit to Rule? The Wall Street Journal Is It Time for a China-Tailored iPhone?